The applications of a computer information systems degree extends to every sector of life. From business to healthcare, education and entertainment, information systems support the very fabric of society. 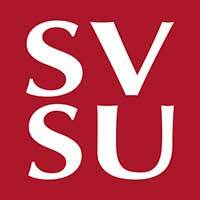 At SVSU, we prepare you to design, implement and maintain those systems. With a low student-to-faculty ratio and high job placement for graduates, you will benefit from personalized instruction and care that uniquely qualifies you for the job market. Here, our computer science students are supported by tutors, submit a senior capstone project and are equipped to thrive because of a special program focus on writing. The opportunities available to you span far and wide, and your journey to finding your passion amidst those opportunities begins the moment you step foot on campus. Apply today. Brad Koch (2011) and Jesse Vollmar (2011) weren’t typical college students. As incoming freshmen at SVSU, the two had already launched a successful IT consulting business. Brad and Jesse chose SVSU for a number of reasons, including the scholarships each received to fully cover their tuition for four years of school. At SVSU, Brad and Jesse further developed the skills they needed to develop a major IT company. They decided to fill a market gap by designing programming solutions for the agricultural industry. The choice paid off. Brad and Jesse’s business secured $5 million in start-up venture capital and the business has strongly differentiated itself, still running strong today. When you choose to Cardinal, you find the resources and skills to help you soar. The computer information systems course load includes business courses; professional ethics; training in information systems as well as a concentrated focus in programming, database systems, systems analysis and design. With a CIS degree, you will apply the programming world to a variety of industries, control corporate databases and develop new information systems. At SVSU, we welcome you to develop a robust understanding of both programming and project management so you are prepared for a career as a coder, an entrepreneur or both. The choice is up to you. SVSU has launched a new graduate degree to further equip professionals to differentiate themselves and support their businesses through the field of computer science. From app development to digital integration with automated manufacturing systems, SVSU’s Master of Science in Computer Science & Information Systems will provide you with upward mobility and depth of knowledge in your field. And with flexible course times and formats, this degree can easily adjust to the needs in your life. Graduate ready for the job market or well-suited for a graduate degree. With SVSU, your opportunities can take you just about anywhere. Cardinals bring their knowledge of computer science to a range of industries: healthcare, education, insurance and more. Some choose to work for regional businesses and some take positions at globally renowned companies like Dow Chemical and IBM. Others go on to earn master’s degrees and Ph.D.s. When you’re a Cardinal, you get to choose where you soar. At SVSU, we’ll support and encourage you each step of the way.